It's hard to believe we've already reached December and Christmas is only 25 days away! 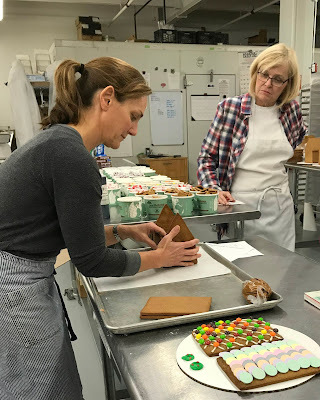 While I have lots of holiday sewing planned this year I kicked the holiday season off with a Gingerbread House decorating class at Bisousweet Confections. I have always wanted to do this and it was absolutely amazing to have everything pre-assembled and ready to get down to decorating... now I know why everyone loves my annual holiday cookie decorating party so much;-) The amazing Karen Collins shared all her tips and tricks for easy construction and making perfect royal icing. Of course, being me, I needed to make myself a new apron just for the occasion. Good thing since I was up to my elbows in frosting. 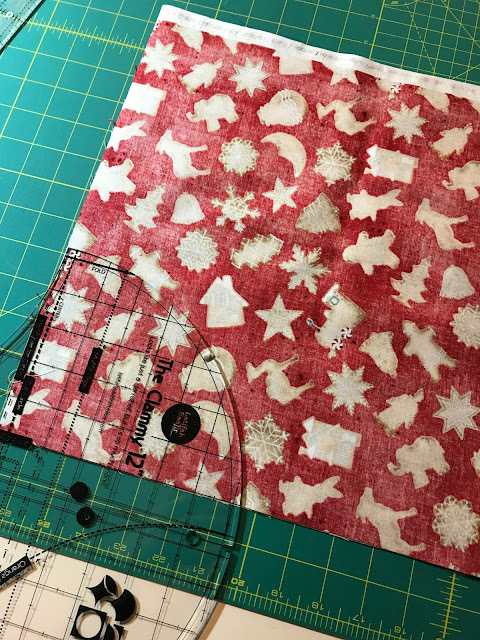 I had tons of this Christmas cookie fabric leftover from my tablecloth so I went back to my go to Classic Apron pattern from Michael Miller and started cutting. I didn't bother with the template. I just cut a rectangle and then used my 12" Glam Clam ruler to cut the curved edge. I added the pocket on this one, very useful for keeping my phone at hand without it winding up covered in frosting. And of course I couldn't resist using stripes for the straps... I just love a good stripe! 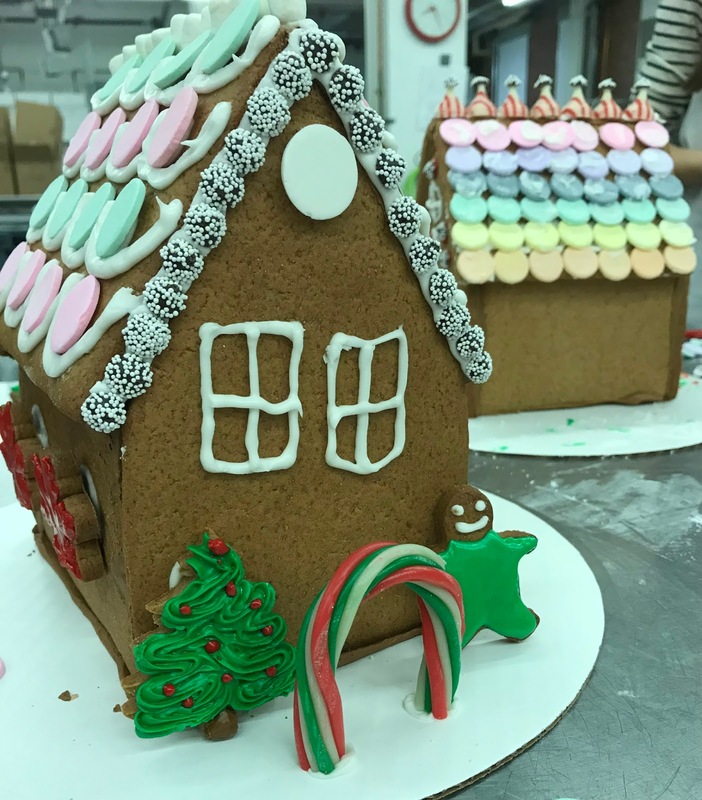 Our cookie party is coming up so this will get plenty of use with all my holiday baking. What's your favorite holiday tradition? Getting in the holiday spirit with this week's Finish it Up Friday by Crazy Mom Quilts. 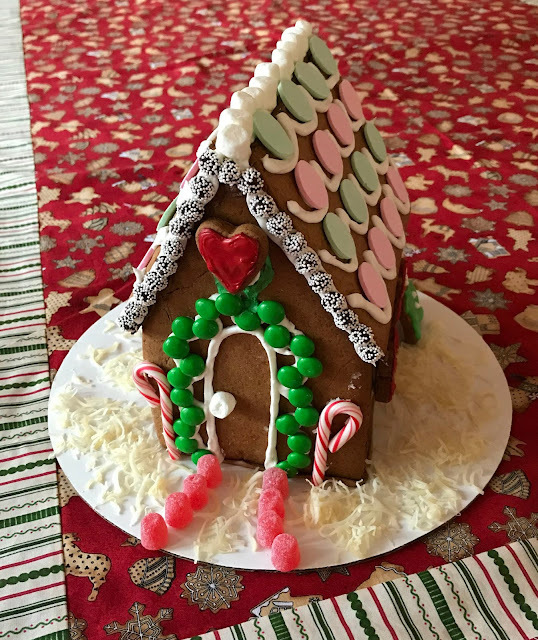 I can tell you what is NOT my favorite holiday tradition... BAKING!! You, on the other hand, must love it to have created a special apron for it. Enjoy!! I love your little house, but I honestly did get distracted when I saw your apron and was wondering if you had made it. A pocket for your phone! Such a grand idea. 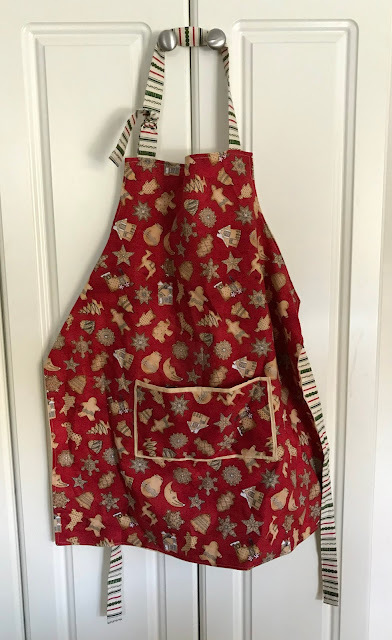 I have an apron that I have made too, but no pocket (I might have to add one). 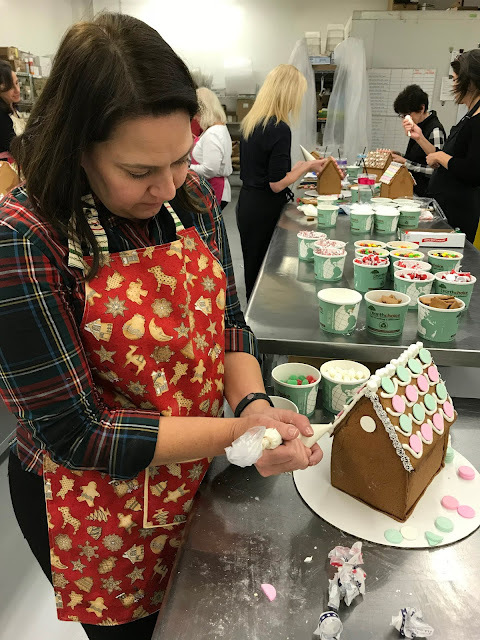 Of course you needed a new apron for your Gingerbread House class. Both the apron and the house look great - and I checked out your earlier post on when you made that beautiful large tablecloth with your Christmas Cookie fabric, very nice indeed! !